Coastal town favourites are among the 43 areas which is seeing raw sewage pour into the water on a daily basis. 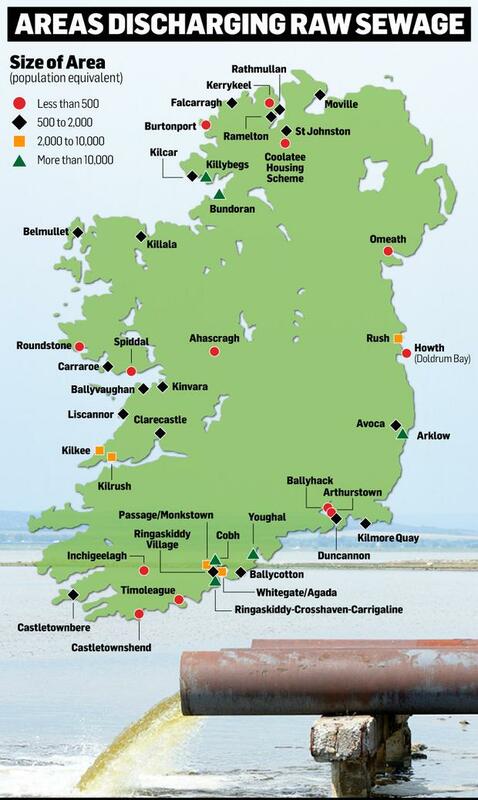 Both Cork and Donegal received 11 black marks, while Clare, Galway and Wexford were also noted as areas of concern. Dublin, Wicklow and Clare each had two areas of concern, according to the Environmental Protection Agency (EPA). They also reported spending on waste water treatment plants to have dropped by 40pc since the creation of Irish Water and delivery of new plants has been delayed by an average of two years. Some 29 large cities and towns, including Cork, Dublin and Enniscorthy, are failing to meet mandatory EU standards, and raw sewage is still being discharged without any treatment into 43 areas, the agency's urban waste water treatment report warns. Figures from the EPA show between 2001 and 2011, there was an average spend of €270m a year on waste water treatment. This has dropped to €166m in the last two years. The report also finds that while new treatment plants have been built in a number of areas, progress is too slow. It also said timelines provided by Irish Water to improve and upgrade treatment plants were "slipping". "The pace of resolving waste water treatment needs to improve," said director of the EPA's Office of Environmental Enforcement, Gerard O'Leary. "It is not acceptable that the timeframe to eliminate the discharge of raw sewage from over 20 areas has slipped by almost two years. We need to see increased capital investment and improved efficiencies in the delivery of the outstanding infrastructure necessary to protect our rivers, lakes and coastal waters and for a more sustainable quality of life." The report says that 29 large towns and cities are failing to meet mandatory European Union standards, despite the EU's final deadline to improve quality passing in 2005. 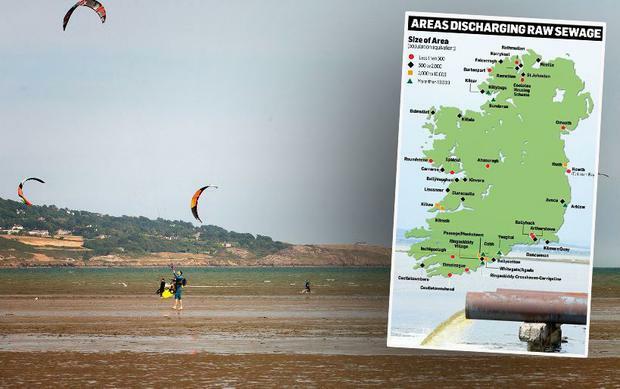 It also says that waste water discharges are linked to poor water quality at six popular beaches including Merrion Strand, Youghal Front Strand and Duncannon, and waste water from 45 areas was linked with river pollution, down from 49 in 2013. Worryingly, it says that 20pc of "long-term" incidents are linked to operational and maintenance issues. Some 29 sites have no operational programmes in place. In a statement, Irish Water disputed the EPA's figures on under-spending, saying that between 2011 and 2013, there was a 50pc drop in investment in waste water infrastructure to €136m. When it took control of the network, spending increased to €166m for 2014 and 2015 and it planned to further ramp-up investment to €326m a year between 2016 and 2021. It added it had prioritised investment in drinking water supplies, but by 2021 all discharges to rivers and seas would be treated to prevent pollution. The utility had a "plan" to address all of the issues and concerns raised by the EPA, but addressing the challenges would take "substantial investment and considerable time".